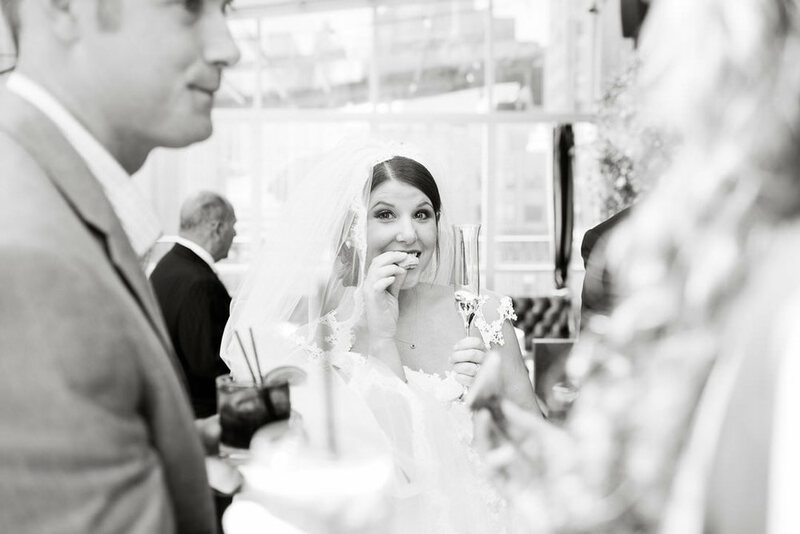 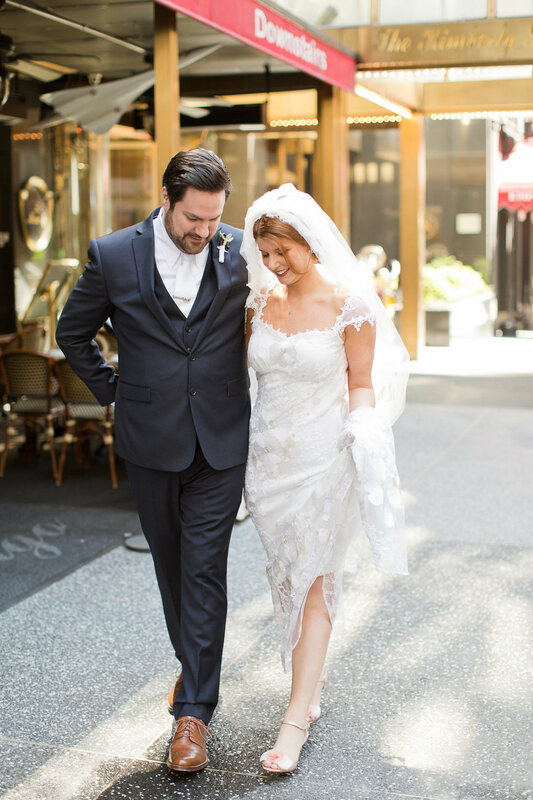 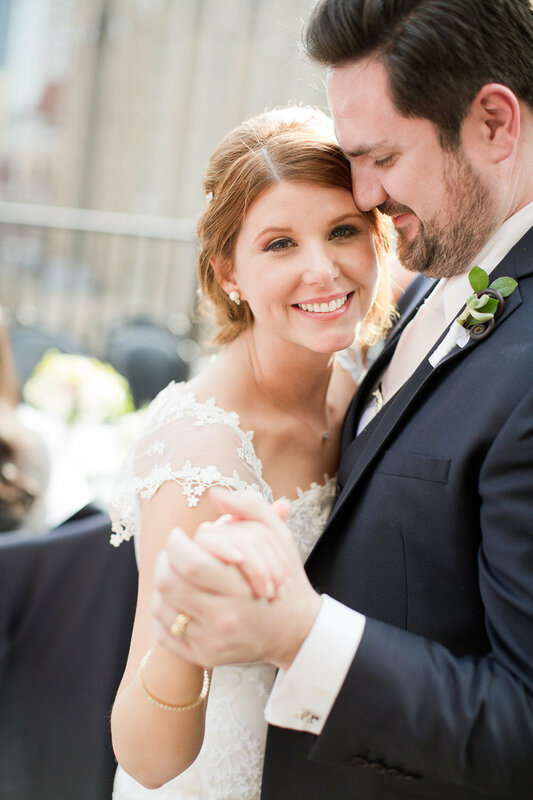 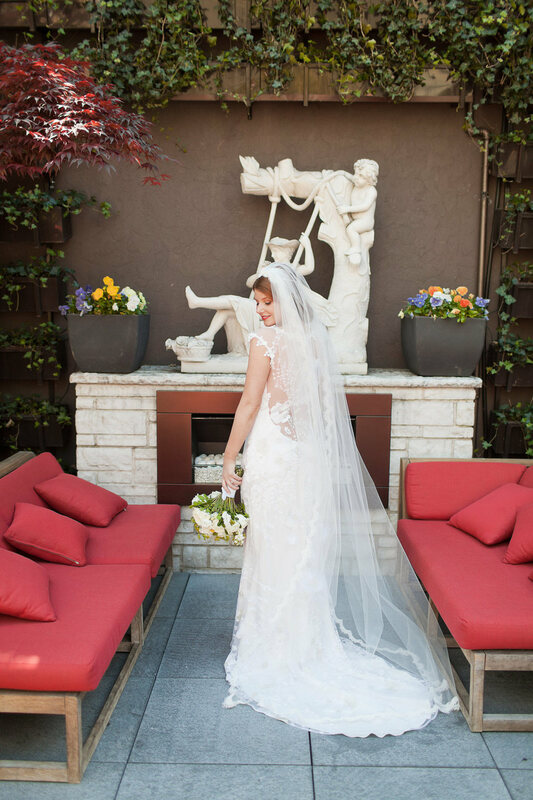 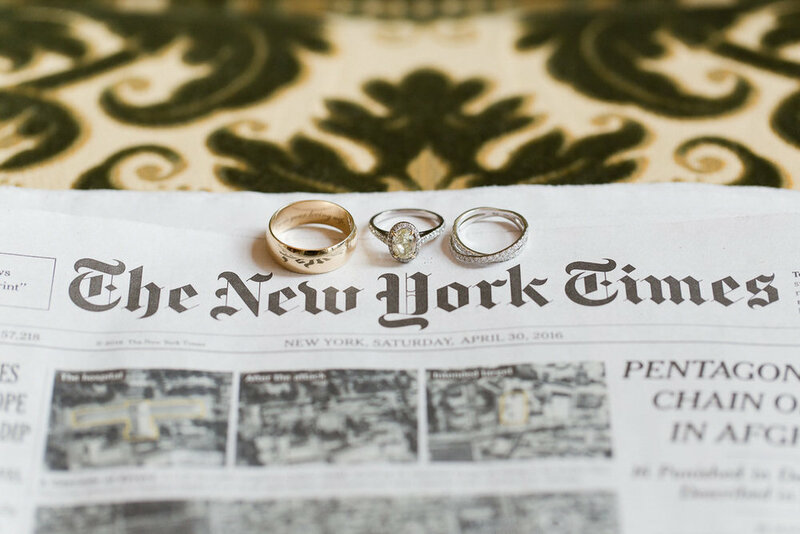 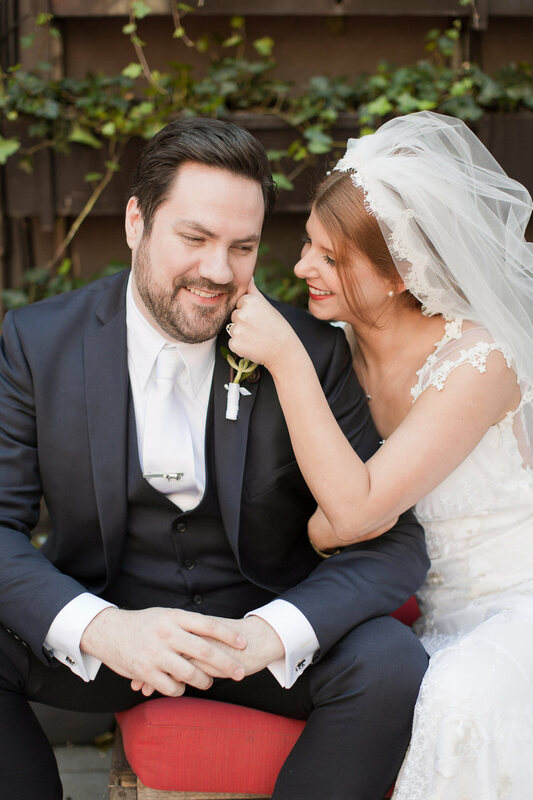 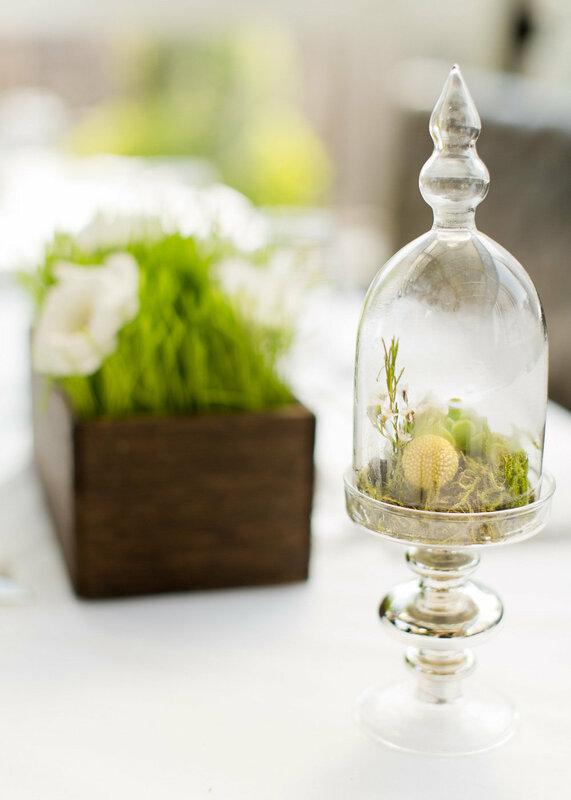 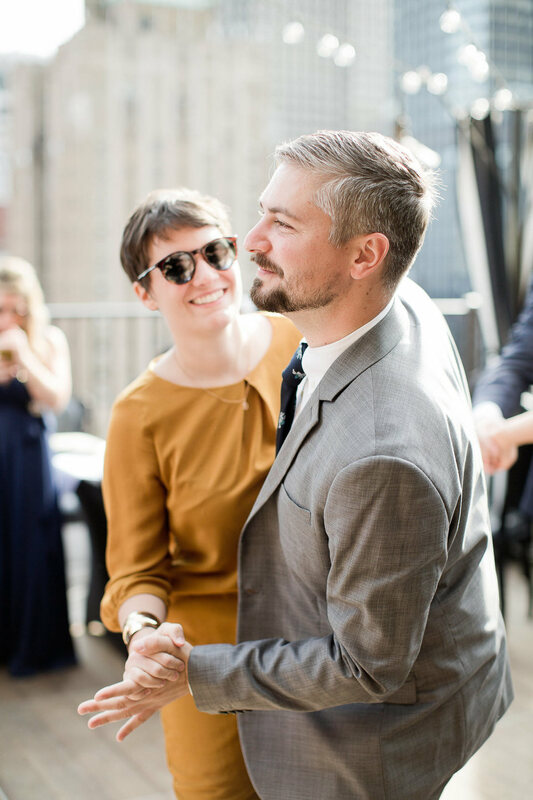 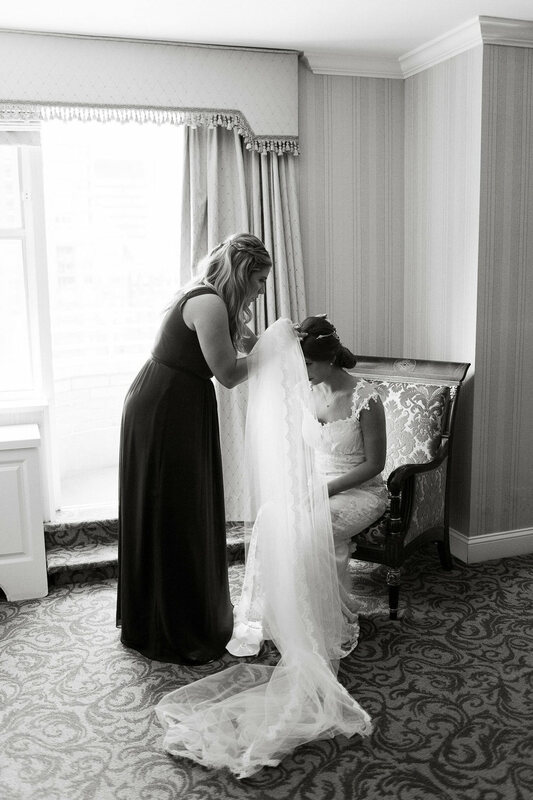 A truly international couple (she's from Cleveland and he's from England but he used to live in Hong Kong and they now both live in New York City) , Cassandra & Gary invoked a shared love of globetrotting throughout the many details of their wedding day. 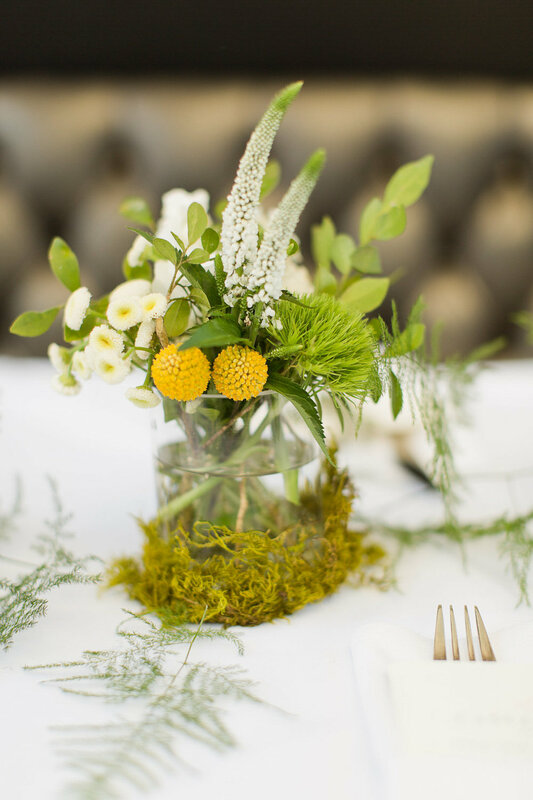 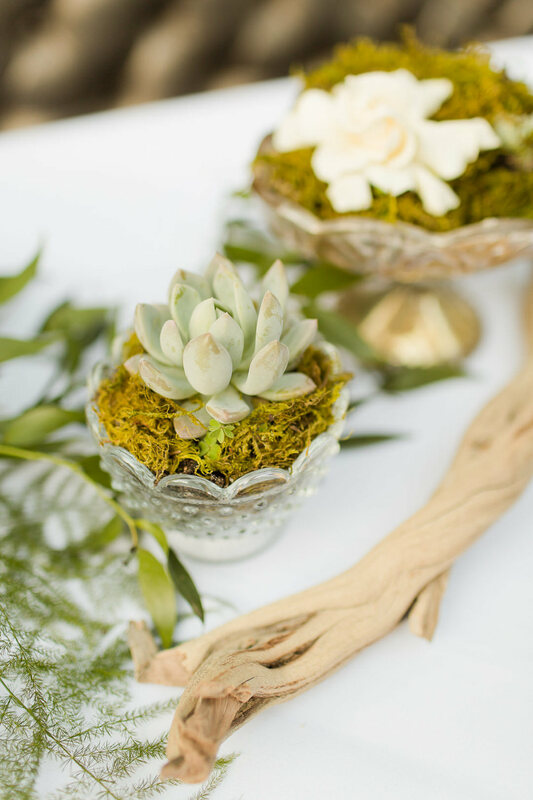 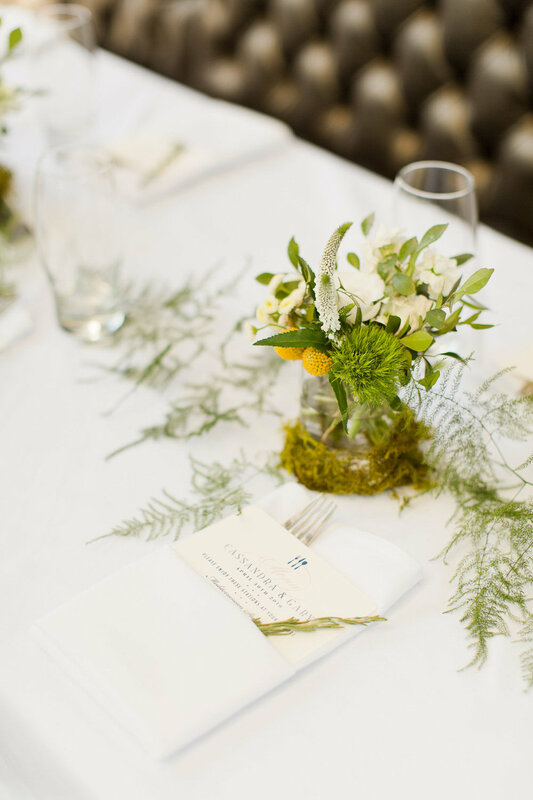 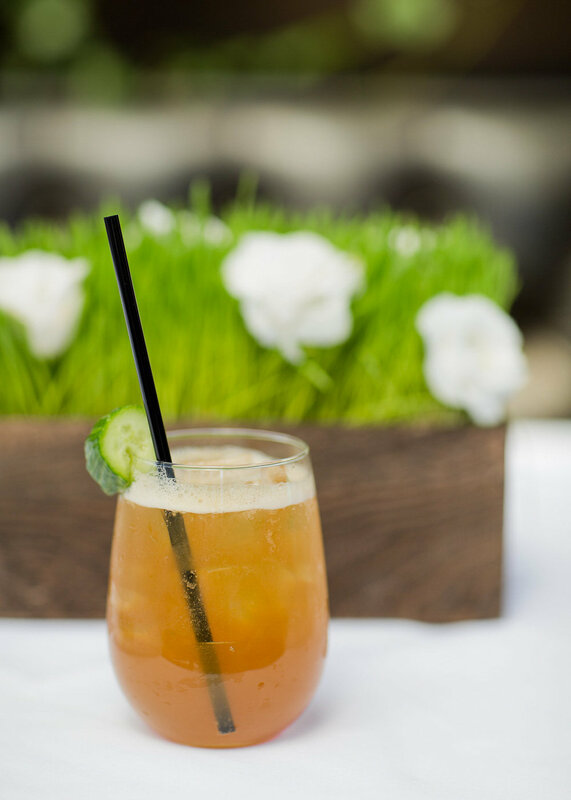 A blend of vintage and travel-themed touches were everywhere. 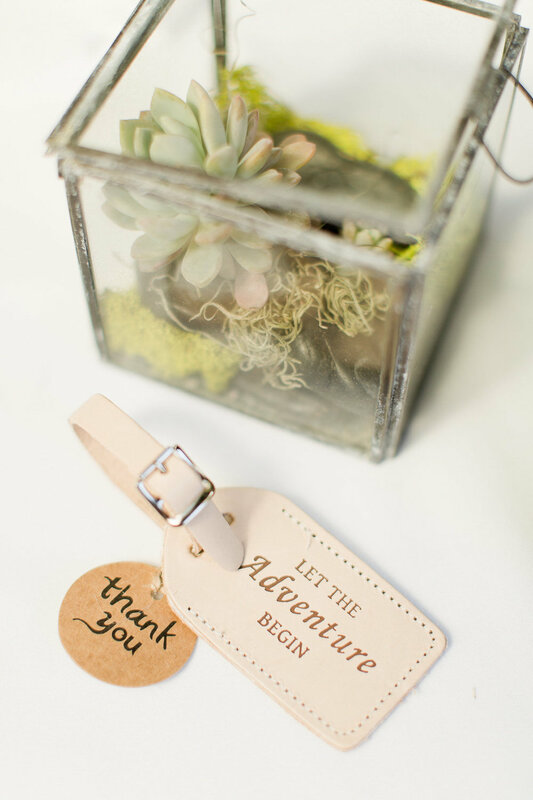 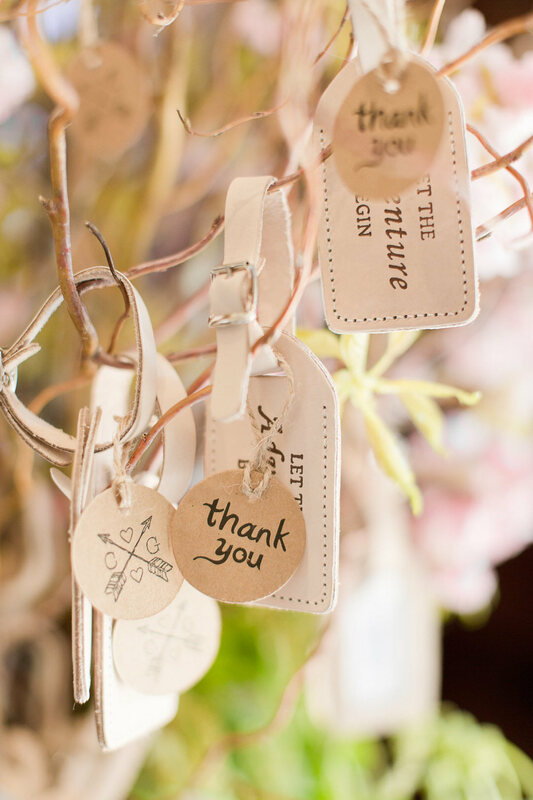 Mini luggage tag guest favours/seating cards that read "Let the Adventure Begin" hung from willow branches. 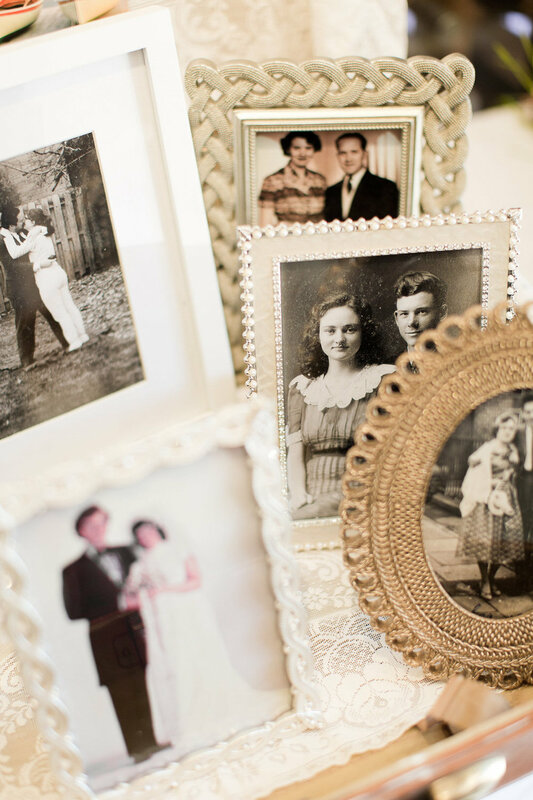 Old photographs of their parents and grandparents plus vintage postcards from cities around the world where they've lived were displayed in an heirloom suitcase in commemoration of Cassandra's father. 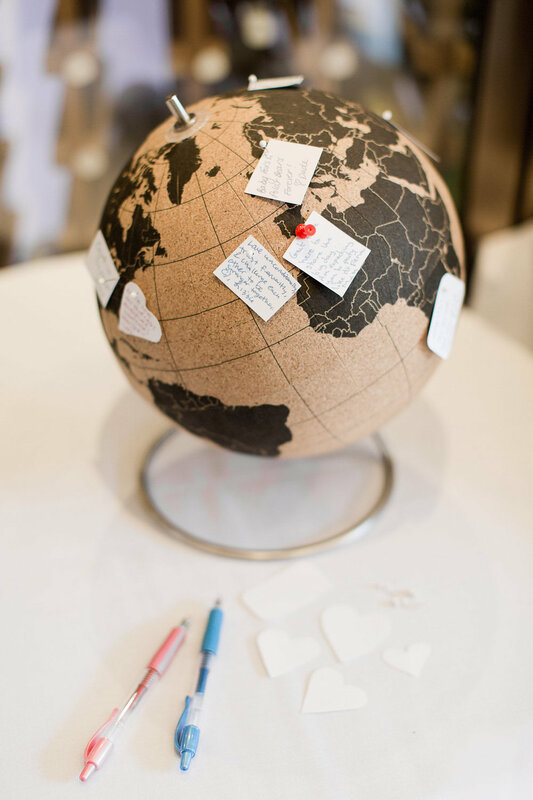 A "guest globe" made of cork quickly filled with well-wishing notes pinned from family & friends. 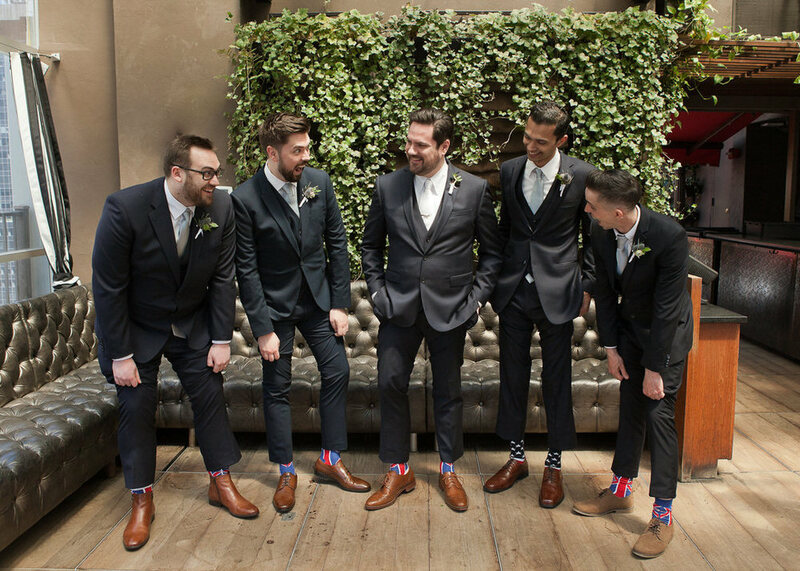 A nod to their American & British cultures, USA & Union Jack flags made an appearance on both the custom bird cake toppers and the guys' matching socks. 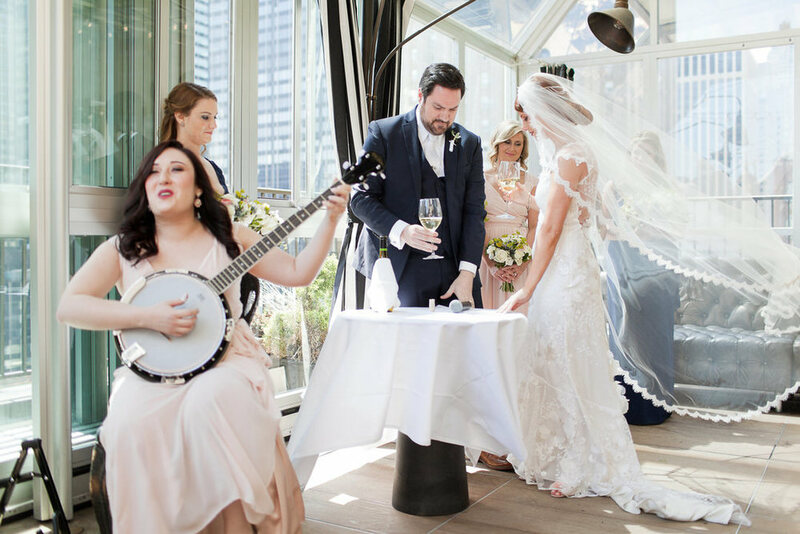 The ladies gathered for a traditional toast of homemade lemon liquor pre-ceremony in an homage to Cassandra's Italian lineage and, to top it all off, the ceremony itself was officiated by a Scottish reverend, making for enough beautifully blended cultures to quench even the most insatiable wanderlust. 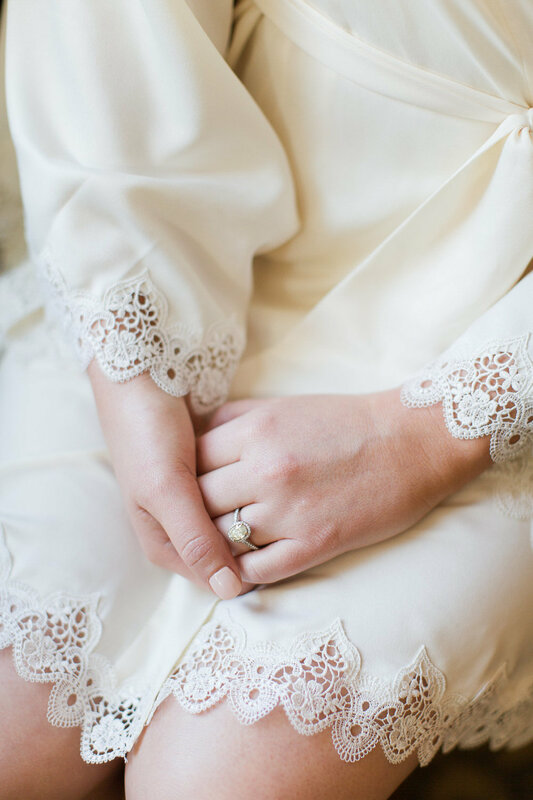 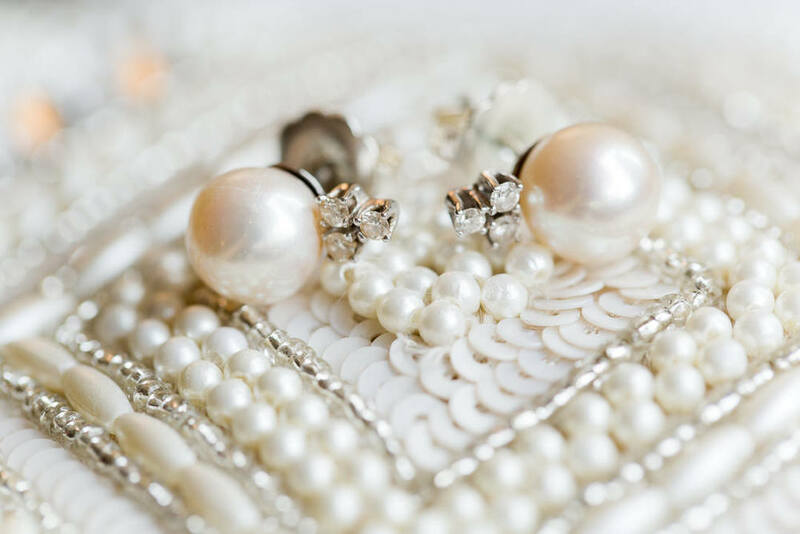 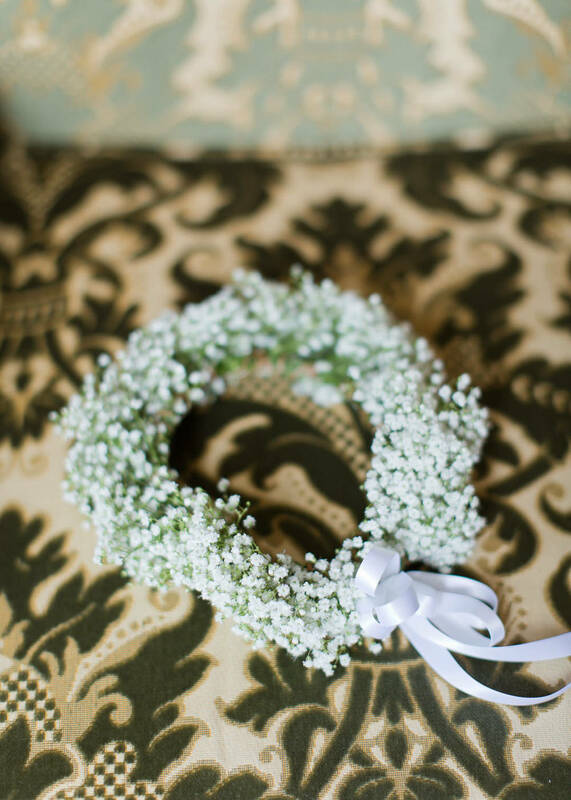 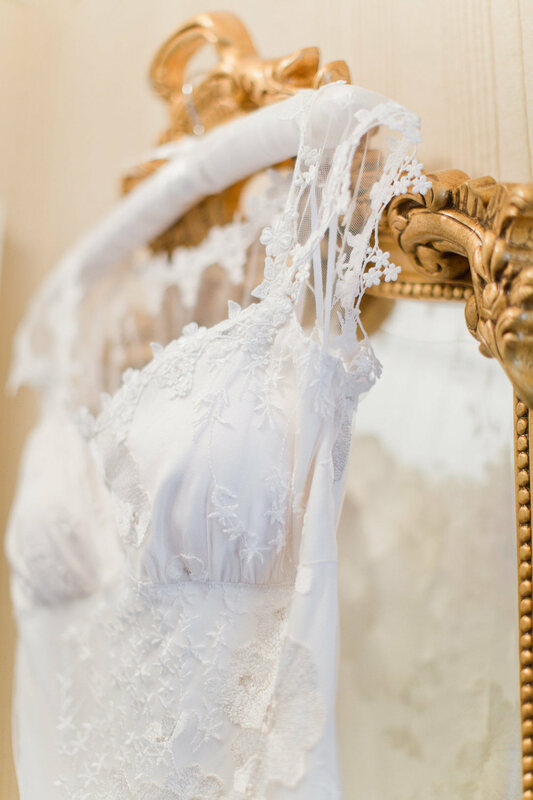 Additional vintage touches were found in the bridesmaid brooches collected by Cassandra over the past year and very special heirloom diamond & pearl earrings that previously belonged to her Nana. 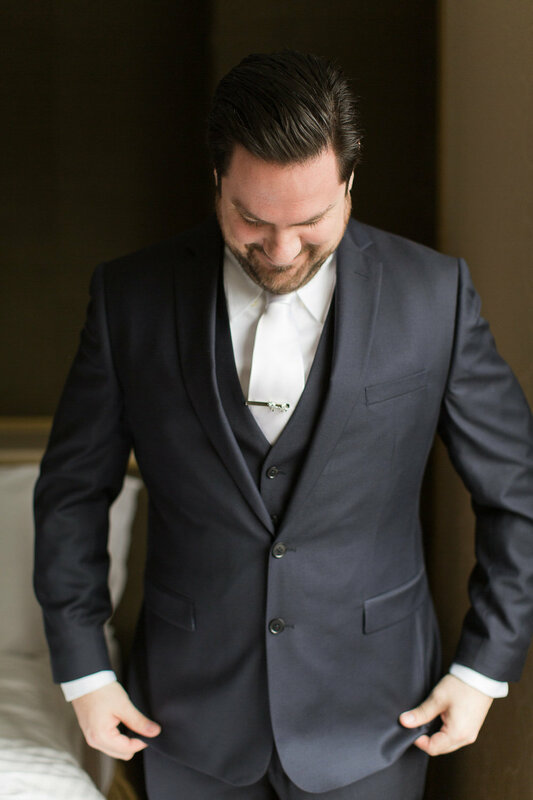 Other sweet surprises included a photograph & burning candle display in loving memory of Cassandra's father, Gary's fox tie clip and polar bear cufflinks referencing their respective spirit animals (adorable inside joke! 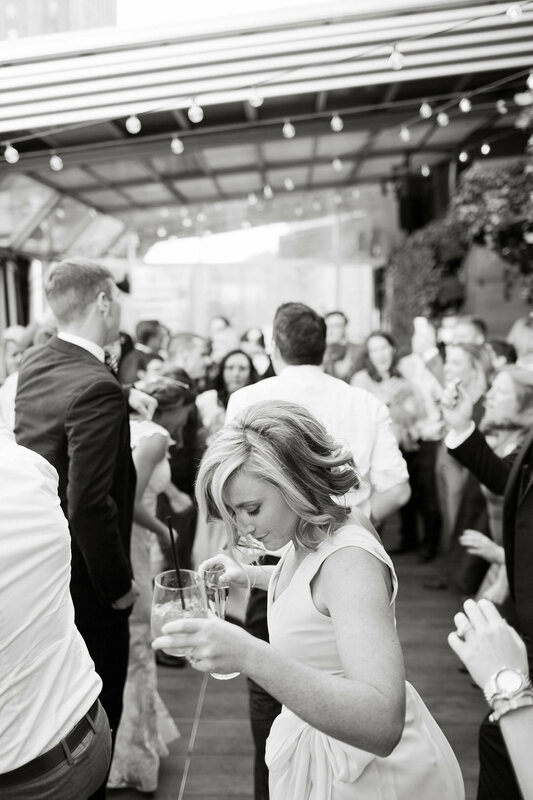 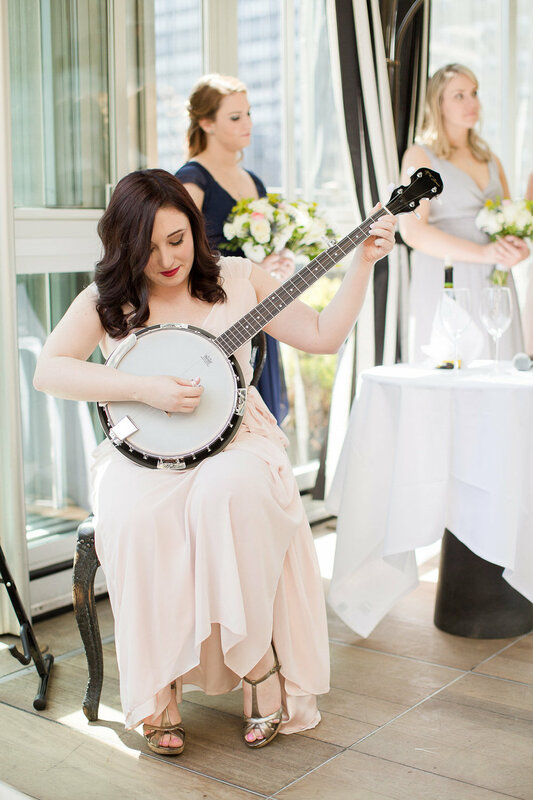 ), and a wine ceremony set to the captivating tune of a bridesmaid playing the banjo. 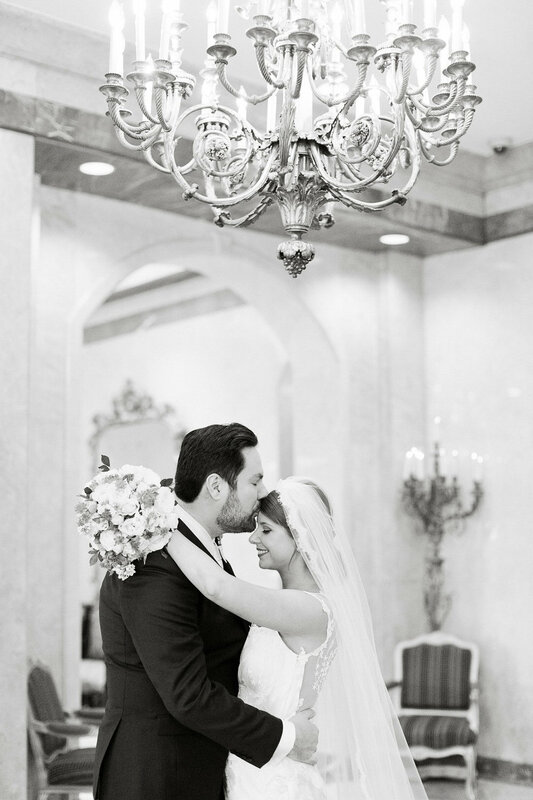 This couple is sure to tug at the heartstrings. 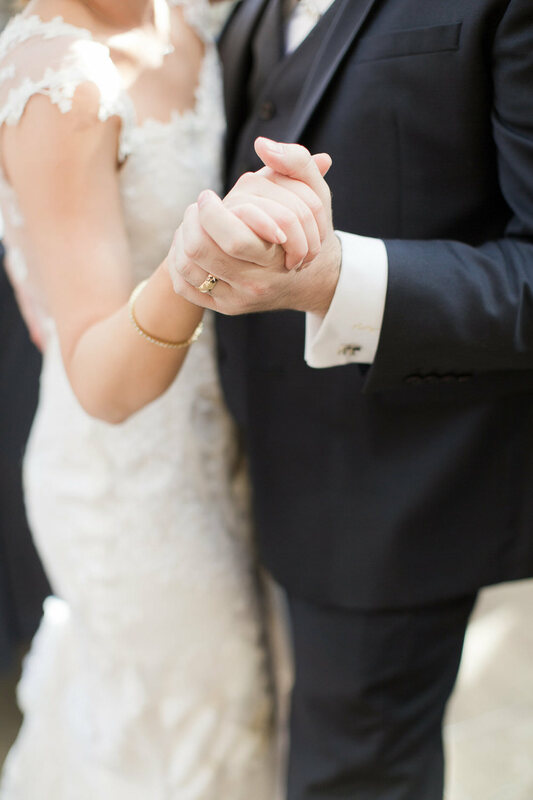 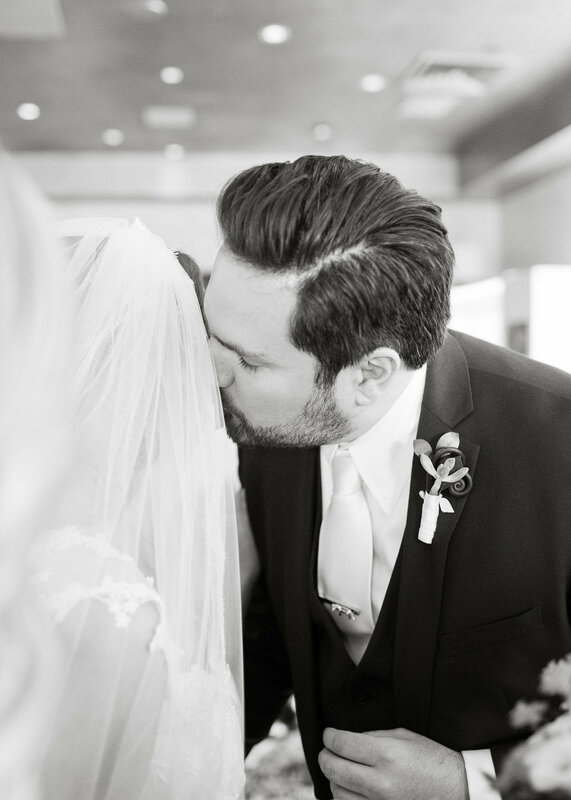 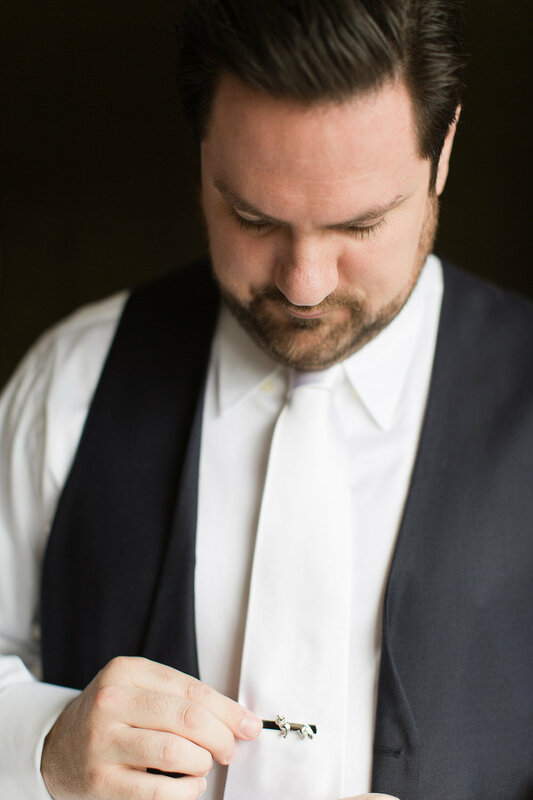 With moments like Gary wiping away tears from Cassandra's face as they exchanged vows and the countless times I caught Gary stealing kisses or gazing down with the biggest smile on his face at the new wedding band on his left hand, it's no wonder there was rarely a dry eye in the room. 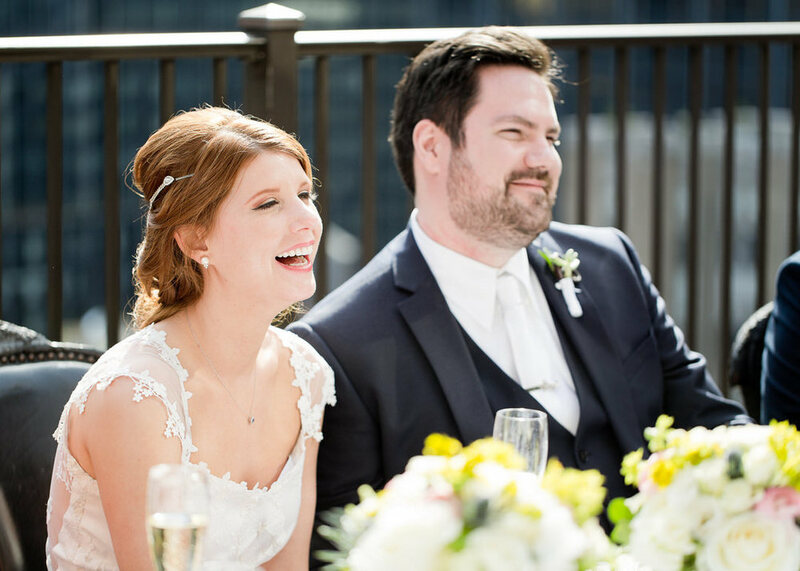 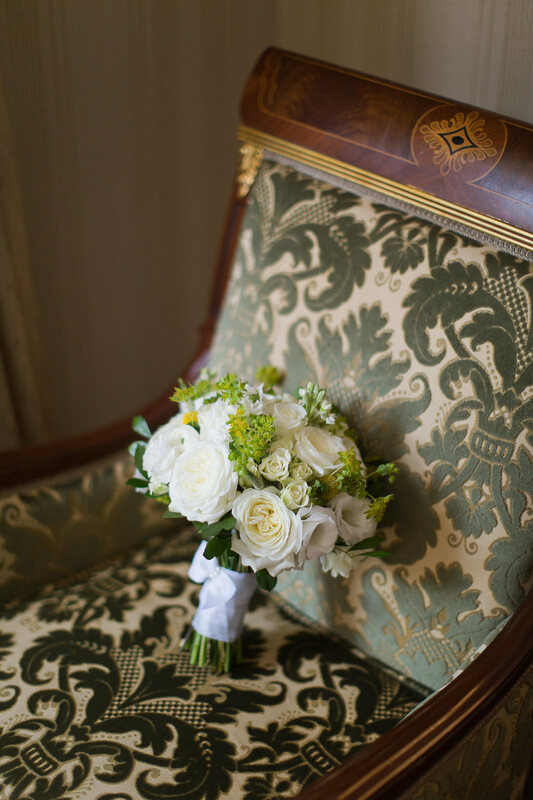 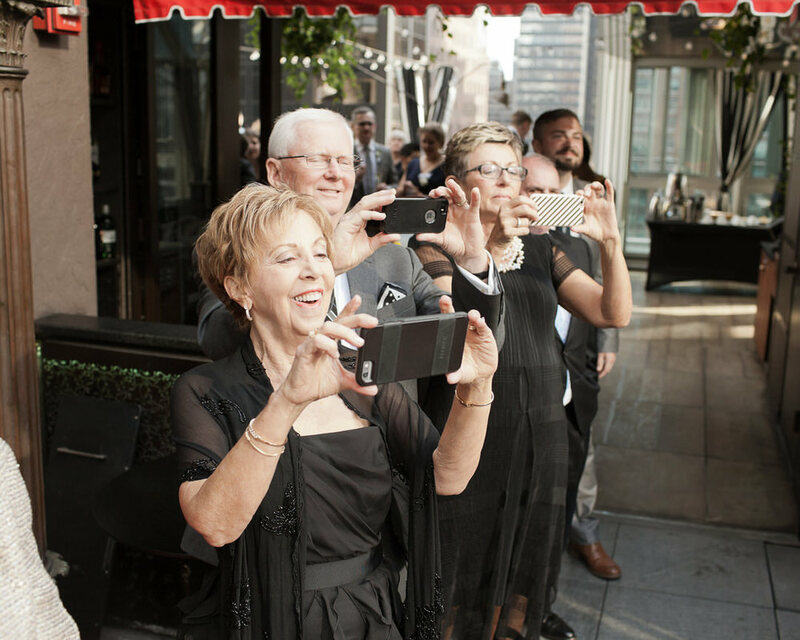 For Cassandra & Gary it was all about celebrating with loved ones from across the globe. 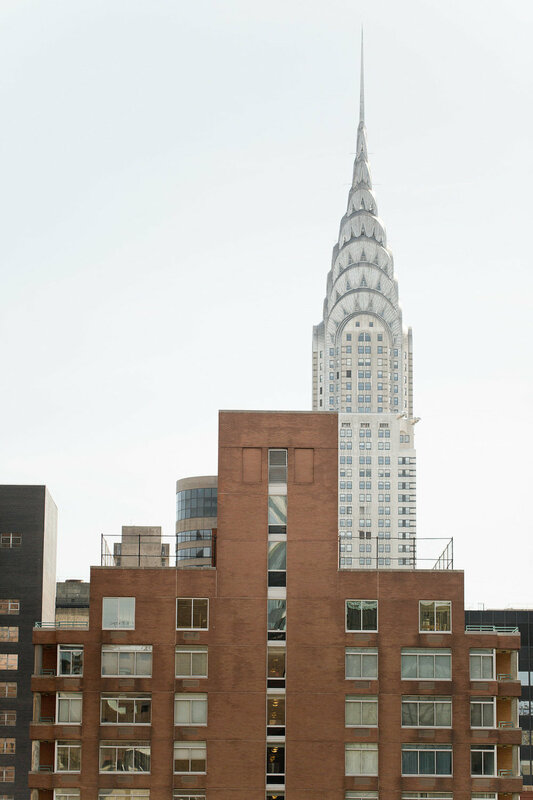 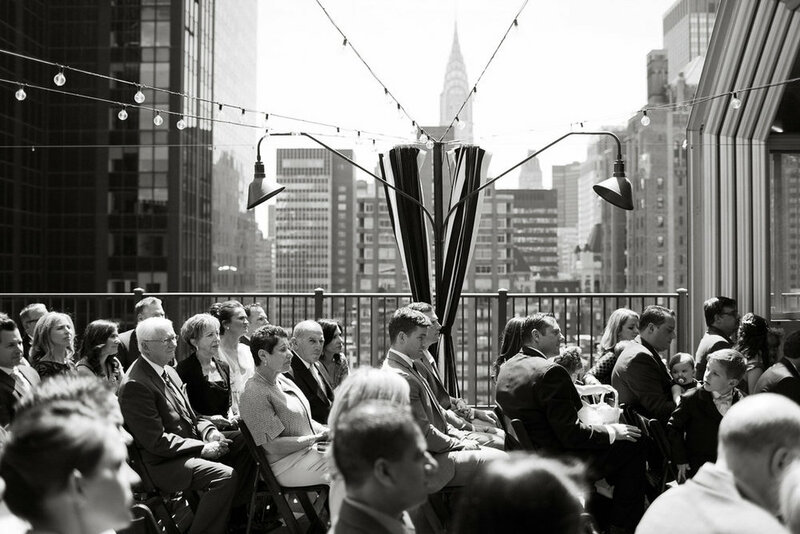 Setting the festivities to a backdrop with sweeping views (Hello, Chrysler Building!) 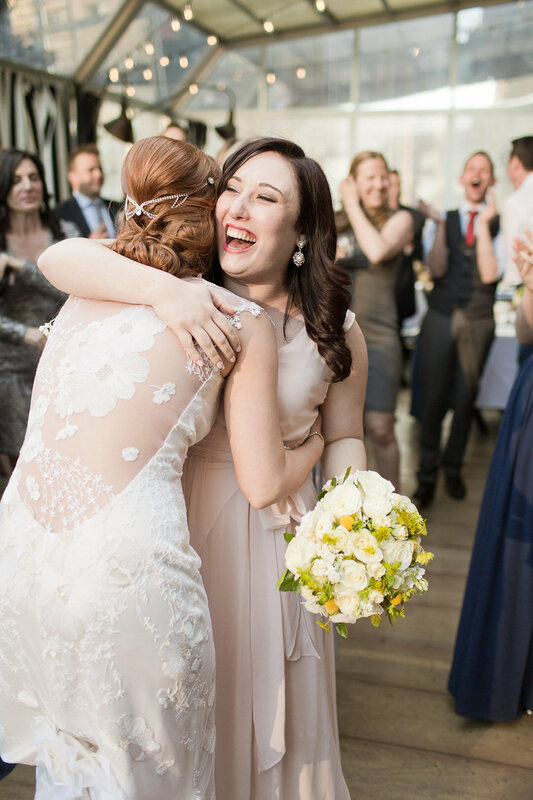 of the very place they met and now call home, New York City, was the vanilla bean buttercream frosting on their three-tiered almond "naked" cake. 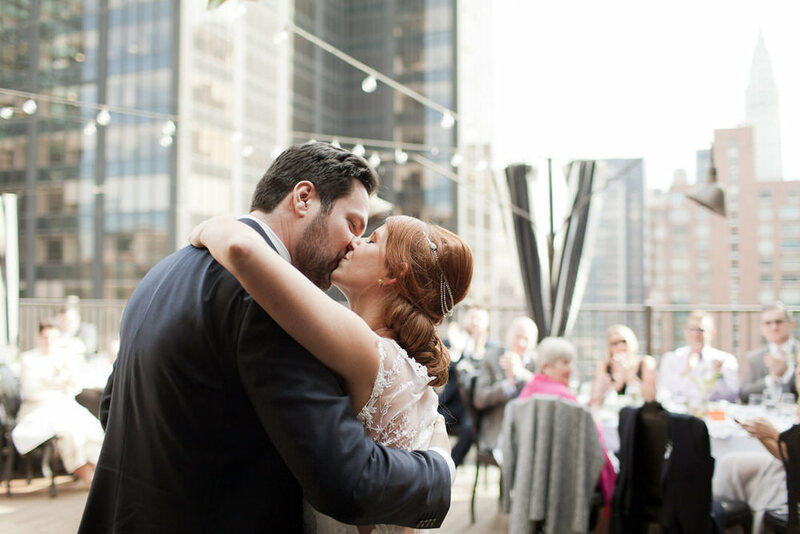 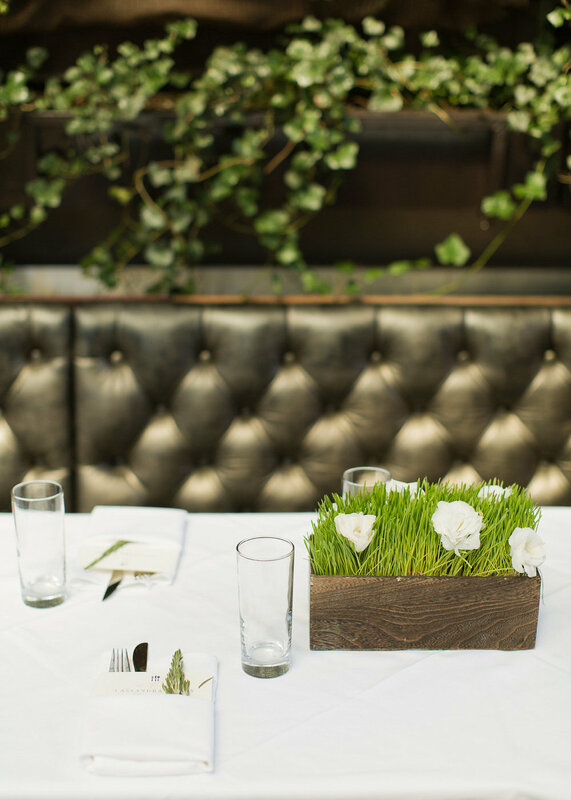 If you can't quite get enough of this duo's heart-warming and effortlessly chic affection, be sure to read even more about their story at Cassandra & Gary's Brooklyn Heights & Bacchus Bistro engagement photos.